Conservatory Furniture Blog: The Rustic Range is now on SALE - 25% OFF! You are here: Home > Conservatory Furniture Blog: The Rustic Range is now on SALE - 25% OFF! The stunning Rustic Oak Furniture Range is crafted from only the highest quality distressed oak, designed specifically to show the true beauty of the grain. The selection has been taken from our popular Rustic Elegance Range, and is guarenteed to add a touch of traditional, classic style to any home. View our online shop to see the full; Rustic Oak Furniture Range. The Rustic Oak Range is perfect whether youre searching for oak dining room furniture, bedroom furniture, or something to accessorise and enhance your sitting room. 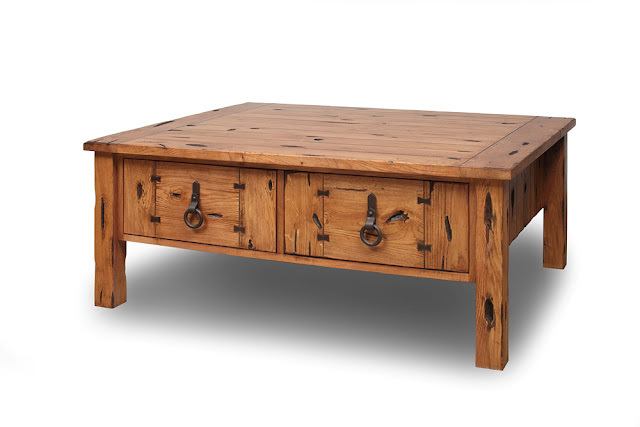 We have beautiful heavy duty coffee tables complete with storage drawers, traditional chunky oak sideboards, and other peices sure to transform your living space. 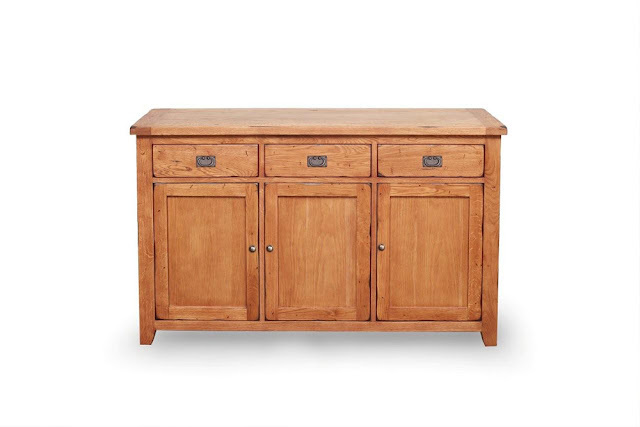 The traditional chunky oak sideboard is big enough to hold all of your best crockery and there is room to accomodate cutlery. 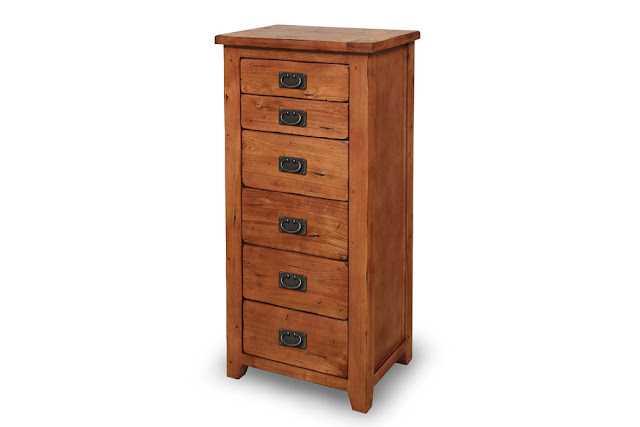 If you decide to purchase a peice from the Rustic Oak Range, then you will find your furniture easy to maintain. Solid Oak Furniture only requires oiling once or twice a year, so your purchase will be relatively maintenance free. The furniture is long lasting and durable, so it could be seen as an investment! 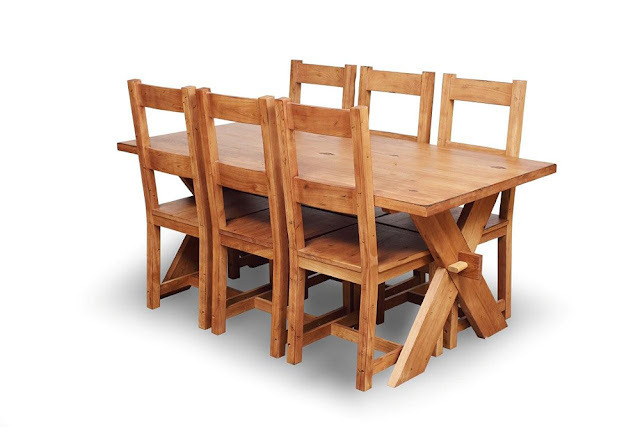 The Rustic Oak Chunky Dining Set is beautifully crafted from distressed oak showing great style and quality, a peice that will be certainly the subject of much envy from your friends and family. If you're looking for family dining, then this practical and charming set will be the perfect purchase. This gorgeous but yet functional Oak Table is made from top quality distressed solidwood oak. The chunky styled table utilizes 4 storage drawers, ensuring you have somewhere to put magazines, drinks, cutlery or anything else you see fit. This beautiful rustic Oak Chamber Unit is made from the best quality solid oak hardwood and finished to the highest standards. With very little work the grain will retain its beauty for years, so at the discounted price this is a great investment. 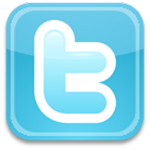 ConservatoryFurniture.co.uk has now launched it's Social Media campaigns! Both Twitter and Facebook are now open for your questions and feedback! 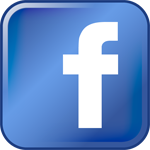 Simply click the Facebook & Twitter icons to view our page, and if you like what you see, show your support by Liking or Following us.